Oregon Health and Science University (OHSU) is a highly ranked public university in Portland, Oregon. On March 23, 2013, as acovered entity under HIPAA, the university had to assign itself a failing grade in protecting electronic personal health information (ePHI) in its custody. An OHSU surgeon took his laptop to a Hawaii vacation rental. The laptop was not encrypted. Someone stole the computer along with information on 4,022 patients. New physicians in OHSU’s residency program used a cloud storage device to maintain information on 3,044 patients in the plastic surgery, urology, and kidney transplant programs. When OCR investigators dug further, they uncovered “widespread vulnerabilities” in OHSU’s HIPAA compliance. Included was OHSU’s failure to execute a business associate contract with the residents’ online storage provider. OCR investigators identified a “significant risk of harm” to 1,361 of the 3,044 individuals whose data was posted on line, by virtue of the “extremely sensitive nature” of their diagnoses and illnesses. The HIPAA Security Rule (45 C.F.R., 164-302) requires covered entities to perform risk analysis, and the OCR publishes periodicguidance. In its investigation, OCR found that OHSU did risk analyses from 2003 through 2013, but failed to include all records under OSHU’s custody. Moreover, OCR found, OHSU identified risks and vulnerabilities and actually documented them. Unfortunately, OSHU took no follow up action, particularly at the management level. OHSU also lacked policies and procedures to prevent, detect, contain, and correct security violations and failed to implement a mechanism to encrypt and decrypt ePHI or an equivalent alternative measure for ePHI maintained on its workstations, despite having identified this lack of encryption as a risk. The cost to OHSU was a monetary settlement–they don’t call it a fine, but it is, really–of $2.7 million. Along with the settlement, OHSU must implement a comprehensive three-year corrective action plan (CAP)–which, not coincidentally is just about everything the HIPAA Security Rule requires covered entities to follow. 1. Do an accurate and thorough assessment of the risks and vulnerabilities to their data and include their facilities located outside of Portland, Oregon. Including everything–systems, networks, and devices–that handle ePHI. 3. Tighten its mobile device management program by inventorying, encrypting and controlling all OHSU-owned as well as personally-owned mobile devices. Enforce and prohibit restrictions on the transfer of ePHI to personally-owned and unencrypted removable storage devices. OHSU has 90 days to provide the documented training materials for HHS review and approval. 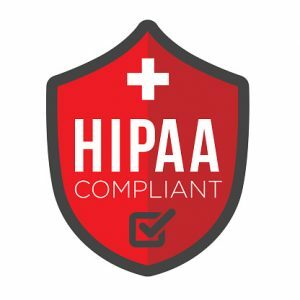 Haxxess Enterprise Corporation is the trusted choice when it comes to staying ahead of the latest HIPAA developments, information technology tips, tricks, and news. Contact us at (705) 222. -TECH or send us an email at info@haxxess.com for more information.